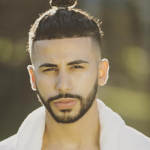 Having a combined total of almost 8 million followers across multiple platforms, Adam Saleh has become increasingly popular, capturing the hearts of many with his viral social experiments and pranks. 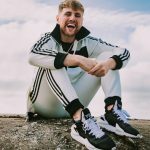 Demonstrating his talents as a vlogger, an actor, and a rapper, Adam has reached tremendous heights of having above 700Million views on his online networks. YouTuber, Slimmofication has built his own fan base and following through the love of his Daily Vlogs on YouTube. He has demonstrated his talent in entertainment in showcasing a Worldwide tour, in over 60+ cities many of which sold out, many in minutes! His global fanbase signifies his influence on social media. 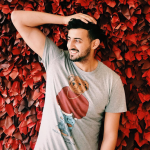 YouTuber, entrepreneur & social media star Rashed Belhasa has built a global audience and following around his brand, Money Kicks. 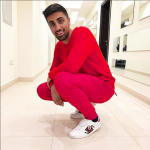 Showcasing some of the biggest and exclusive sneakers and the luxury of Middle East through his YouTube and Social media, Rashed was quick to gain the hearts of many A-List celebs! 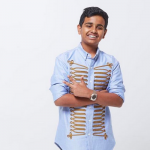 At such a young age of 15, Rashed has taken his name and brand of Money Kicks to a whole new level of success. 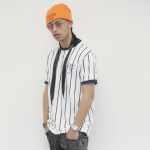 Harris is a singer-songwriter with millions of followers worldwide, signed to a record label in 2013, releasing his first album in 2015 at a young age of 16. He's continually grown with 300 million+ views across his videos on YouTube and many more streamed. Mo is a Dubai based vlogger, internationally recognised star and influencer with millions of followers. Especially known for his luxurious insight to the Middle Eastern lifestyle with cars and experiences, Mo has developed a core fan base throughout his videos shown on YouTube which is followed globally. Lana has found her success on YouTube through creating makeup videos and sharing her love for cars. She has over 1 million subscribers and counting and a large following on Instagram. Lana is also a super-talented painter whose artwork is admired all over, videos of which are shared across her social media! Amir has found his success by winning 1st place in the 2004 Olympics, a x2 world champion and CEO of AmirKhanFoundation. He has over 6 million + followers across all of his social media platforms and has fought with millions watching worldwide and thousands in huge scale arena's! 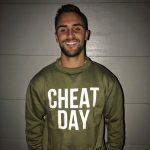 Kristen, one of the biggest viral sensations to hit social media has found a global following, with his instagram videos hitting over 5M views consistently. He grasped the worlds' media when he started the 'straight-arm challenge' hitting news, social media and millions joining in the worldwide hit! When it comes to creative content, Kristen is really the king of it. Jackson is an Australian social media super-star and entertainer, global headliner of pranks, skits and comedy all over media. Whether you know him from befriending a Kangaroo hitting 100 million views+ or his crazy skits and pranks on Instagram and Facebook, Jacksons' videos on social media have millions watching his profiles everyday! LA based Jackson has a phenomenon of collaborations and the funniest content online. Rolando is a professional football player who plays for Newcastle United as a winger. Born in Jamaica, he was quickly called up to England as an Under 20, securing the opening goal against Romania. 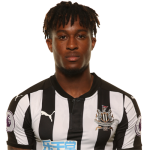 Whilst starting his football career as a youth player at Bristol City, Rolando Aarons has been incredibly talented at such a young age to capture the eyes of millions of fans and club owners interests on a global scale. 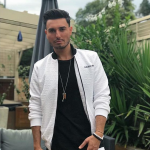 Faydee is an Australian artist with Lebanese background. He used to sing when he was young before posting his own remixes on YouTube and being discovered at the age of 19. Now, Faydee has some of the biggest hits with many of his songs over hundred million views on YouTube alone. 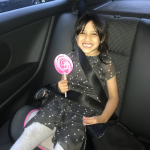 5 Year old Inaaya has a sucessful YouTube channel where she reviews toys and all sorts of gadgets showing some of the life of a young 5 year old girl! It's entertaining, it's funny, it's cute and everything you would expect from a 5 year old! 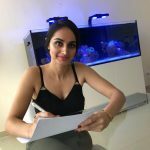 She is one of the most loved young youtubers on social media already and she prides herself of uploading regular content for all her followers!